When it comes to high-performance estates, the choices have always been rather limited and rather German. 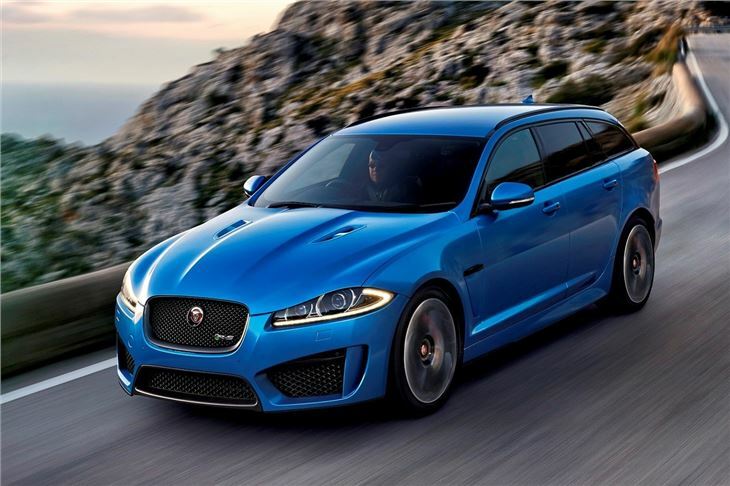 However, all of that could be about to change because Jaguar has decided to square up to Audi and Mercedes-Benz with its new 186mph Jaguar XFR-S Sportbrake. 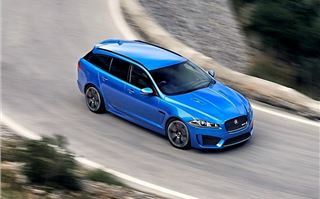 The XFR-S Sportbrake is the first high-performance estate to be built by Jaguar and borrows much of its underpinings from the F-Type R, which means it gets a 5.0-litre supercharged V8 engine, eight-speed racing transmission, electronic rear differential and uprated suspension. 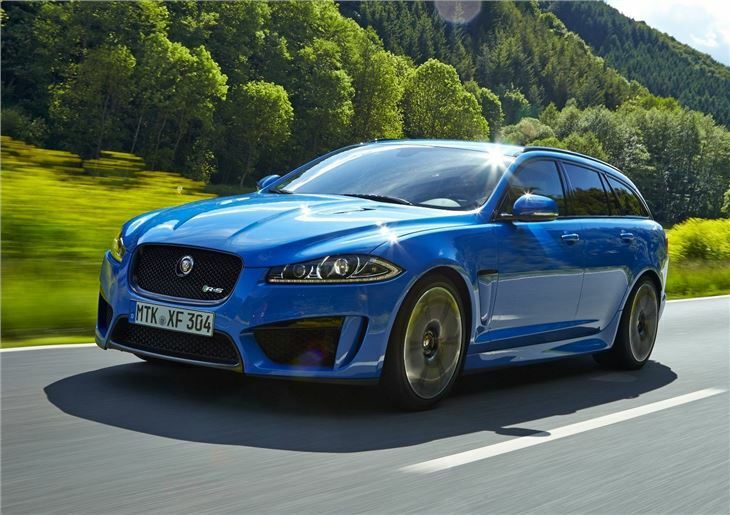 As a result, the XFR-S Sportbrake packs some impressive numbers, with 550PS plus 680Nm of torque and a 0-62mph time of just 4.6 seconds. 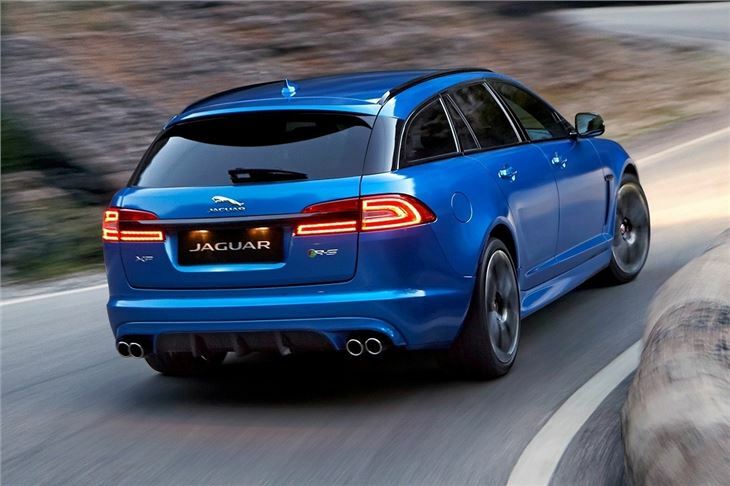 Top speed is electronically limited to 186mph, which means this souped up Sportbrake goes toe-to-toe with the Audi RS6 and Mercedes-Benz E 63 AMG. 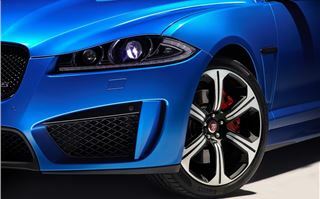 From the exterior the Jaguar looks fantastic, with an aggressive, broad-shouldered stance, carbon fibre air intakes and lowered body. 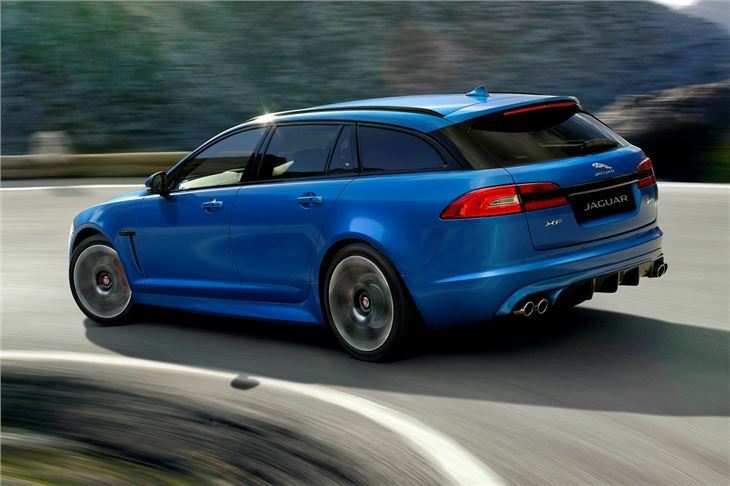 Twenty-inch alloy wheels are fitted as standard and the high octane appearance is completed with a carbon fibre rear diffuser and large roof spoiler, which gives the Sportbrake a sleek and attractive appearance. The interior retains the XF's simple yet elegant design, with easy to use controls and a central touchscreen, which operate the main functions. 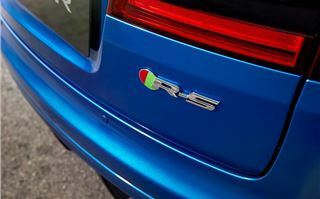 R-Sport enhancements however include leather seats, contrast stitching and carbon fibre veneers. Not only is the Sportbrake big enough to accommodate four adults, but it's also hugely practical, with split-fold rear seating, 1675 litres of loadspace and flat flooring. Twice as powerful as the next model in the Sportbrake range, the R-S is blisteringly fast, with the 5.0-litre engine barking into life from the moment you press the starter button. 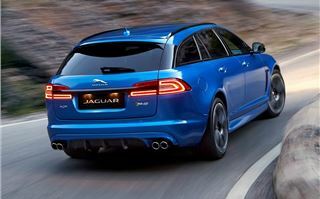 Outright acceleration is rapid and the Sportbrake will easily match a Porsche 911 Carrera from 0-62mph. The power delivery is also smooth and predicable, with no sudden jolts or lifts in acceleration. 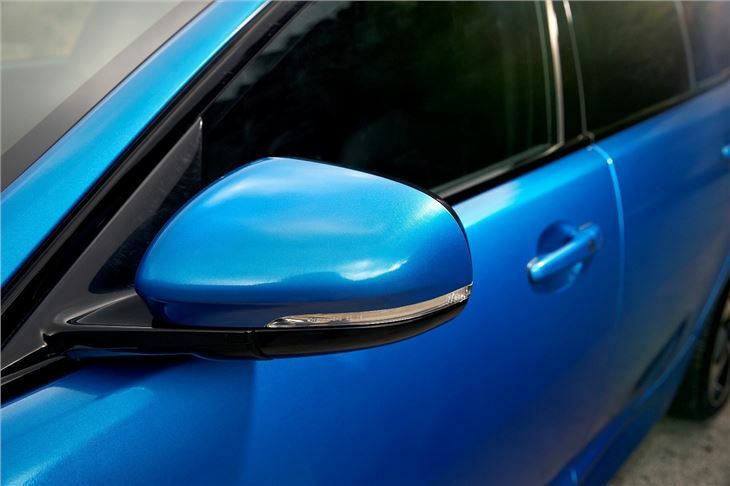 The all-aluminium quad-cam engine delivers the volcanic power to the rear-wheels via a slick eight-speed automatic 'box, which works wonderfully well, with smooth changes and the option of going manual, via the paddles behind the steering wheel. 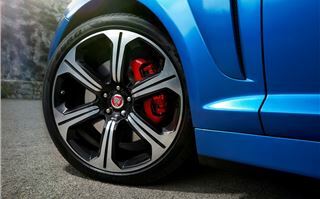 To improve stability and handling, Jaguar has stiffened the suspension by 30 per cent and employed the same steering system found in the F-Type. 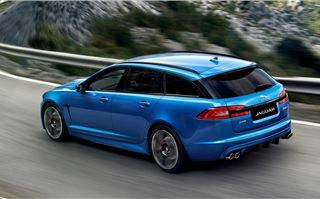 As a result, the Sportbrake feels surprisingly tight and light on its feet, with firm damping and responsive steering. The active electronic differential really impresses, providing solid footing in the corners and bags of grip under hard acceleration. The Sportbrake weighs close to two tonnes, but it carries its weight well, with plenty of front end grip and good all round balance. However, things get decidedly hairy in the wet, with the back end being rather tail happy as the rear-wheel struggle to find traction. 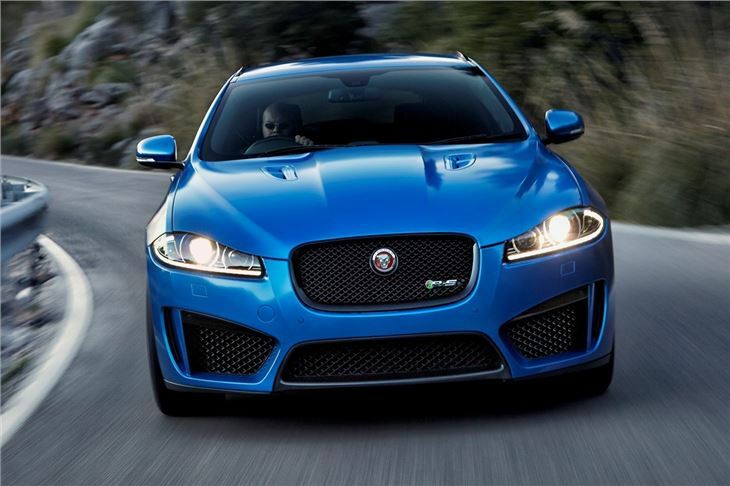 But in normal conditions the Jaguar is easy to drive and predictable. It also rides exceptionally well, with a firm but forgiving set up that makes it suitable for all roads. However, the V8 is a thirsty engine, with a claimed 22.2mpg. 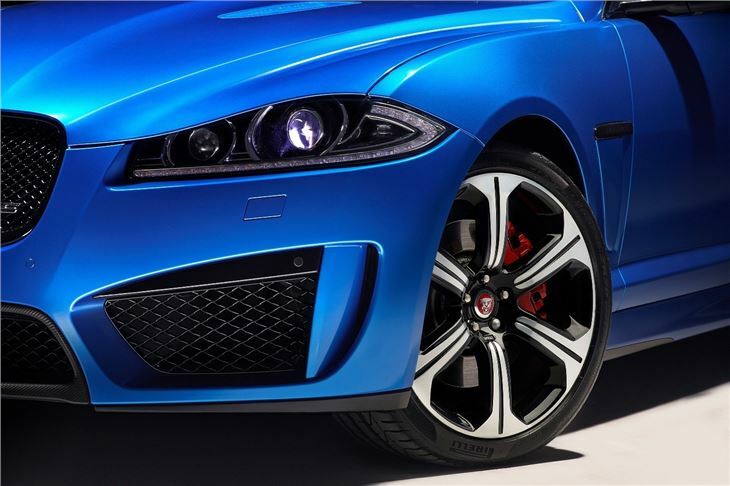 Push the Jaguar hard and that number will tumble to the low teens. 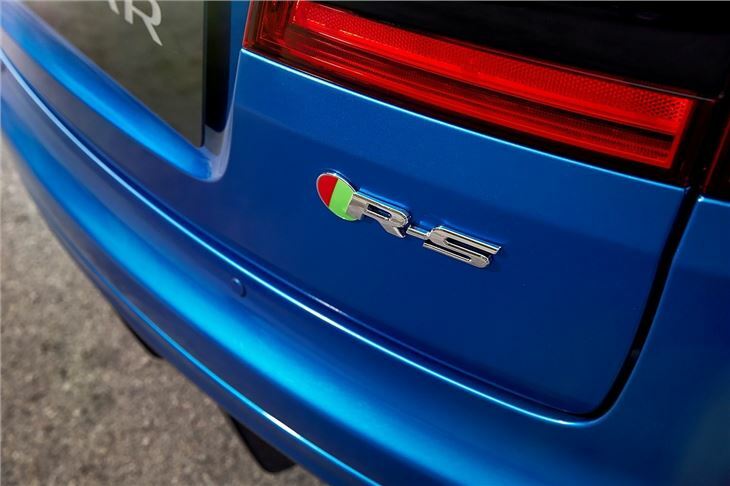 Priced at £82,495, the R-S is a few hundred pounds more than a comparable E63 AMG and £5000 more than the RS6, which is the better all-round car. 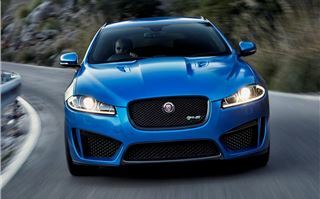 The XFR-S Sportbrake is also slower, with both the Audi and Mercedes-Benz quicker in the sprint to 0-62mph. However, despite its shortcomings, the R-S ticks a lot of boxes and we quickly grew to love its thunderous engine and boy racer looks. 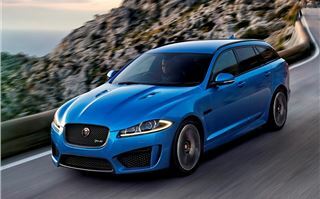 We also think the XFR-S Sportbrake is more attractive, compared to its German rivals, with its bulbous design being the perfect partner for its F-Type R running gear. 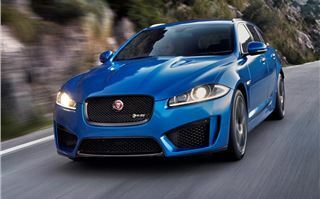 There’s no denying that Audi and Mercedes-Benz have the high performance market sewn up, but Jaguar has created a genuine contender to the hot estate crown. 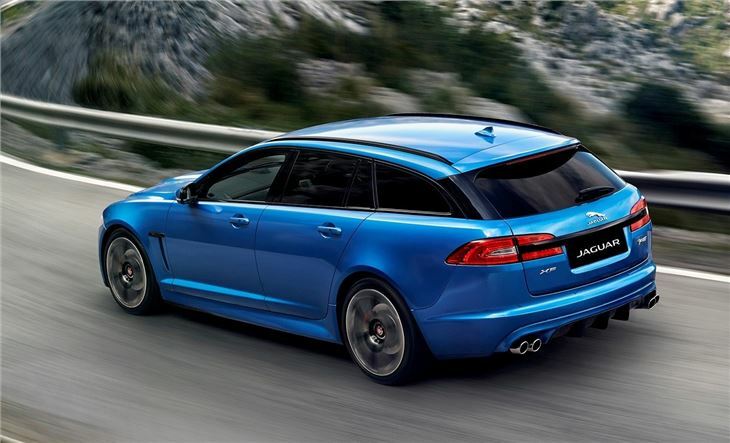 The R-S Sportbrake is fast, entertaining and practical. It also feels very much like the F-Type on which it’s based, albeit with two tonnes added. 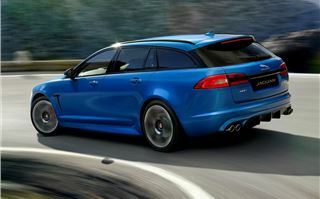 Admittedly, the high running costs will alienate many XF Sportbrake fans, but we think the R-S is a very good car. 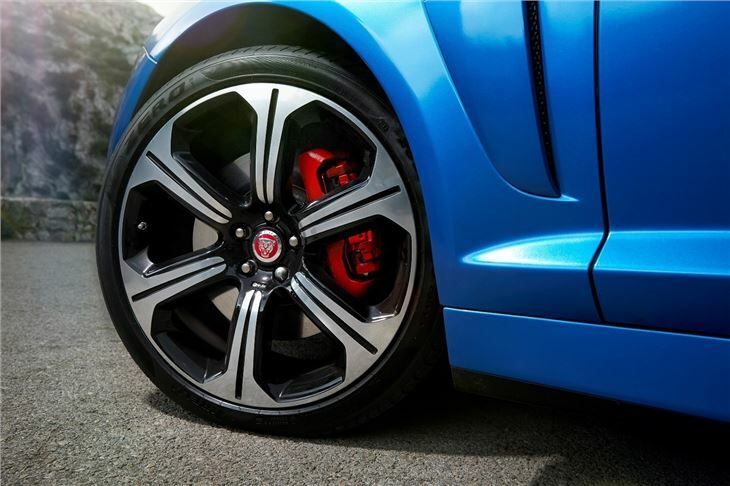 It's noisy, fun and very capable on the road. 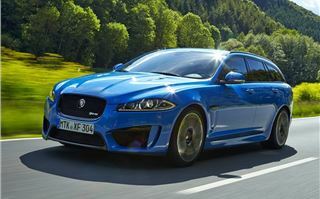 It's also comfortable, which means it's equally at home on the school run or a lap of Nürburgring.